Lots for Sale Hutchinson MN | Excelsior Homes West, Inc. Seven lots for sale in a residential development, on a quiet cul de sac, featuring spacious lots overlooking beautiful Rotary Park in Northwest Hutchinson, Minnesota. Privacy in the city. 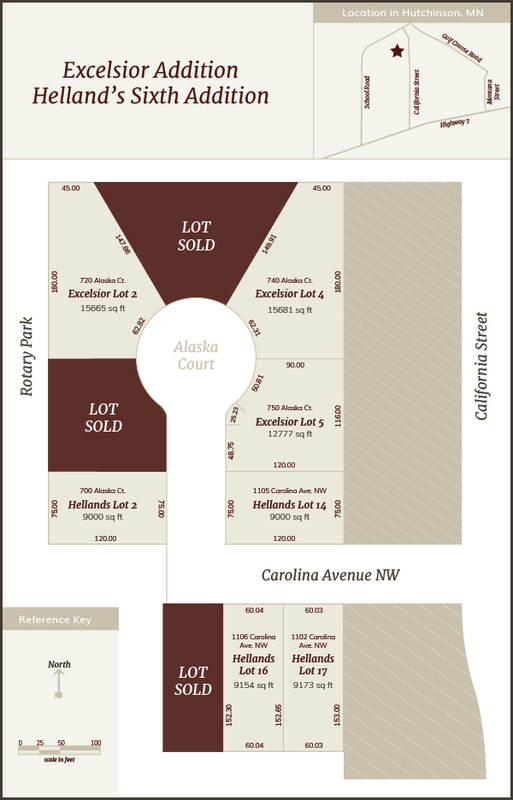 Build your home on one of seven city lots available. We offer turn key packages to be placed on a basement or crawl space foundation. View some of the floor plans we offer or customize and let us help design your home.